Only 8 week after the start of their pre-launch phase, the new European Startup from Switzerland – Enhanzz Global is breaking first records. With more than a thousand Brand Partners and five thousand excited customers for their product, the launch could be described as nothing else but impressive. All processes are fully functional, and shipping and commissions work on-time like a Swiss clock. 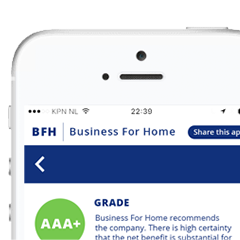 On businessforhome.org, the company reached a listing close to the Top 100 in Momentum rank – from scratch. If you follow the Social Media Hashtag #hanzzandheidii on Instagram, you will find thousands of tagged photos about the product line alone. The company reports that the feedback on their products is indeed overwhelming: People are raving about the unique products, and many top skin care experts – as well as renown Social Media Influencers – are starting to line up. Just recently, the company has updated their pre-launch website with more detailed information about the business model, it’s underlying happiness philosophy and the corporate team. The biographies alone read impressive and the experience level of the corporate team is unparalleled for such a young company. Consequently, the corporate team works very close with its field leaders, understanding the relationship as a true partnership. “Some leaders are already qualifying for some of the compensation plan’s mid-level leadership ranks. They have a clear path for every step and the event structure is developing rapidly. The business is simple and fun, without typical pitfalls. 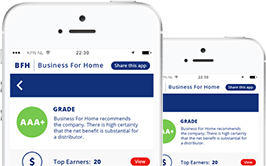 It’s been our intention to create a powerful compensation plan with some amazing details to it, that you don’t find anywhere else. Next to its HQ in Alpnach, Switzerland, Enhanzz is currently preparing their Middle East Offices, ready for business in December. With 12 European- and 5 GCC markets, they have built a great foundation for massive growth. Enhanzz is a newly formed, European based distribution company from Switzerland. 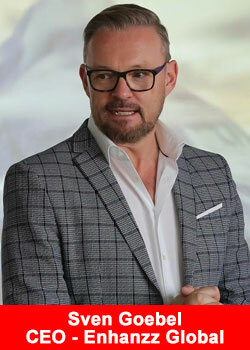 The founders Dr. Sven & Audrey Goebel and Sven & Christina Hennige, heavy weights in both the direct sales and corporate field, believe that it was the right time to launch a modern, tech-oriented, consumer-friendly global company from Europe. By identifying as Swiss-based, they are making their own commitment to exceptional standards in every aspect of the companys products and operations, offering fashionable, hi-quality, Swiss-made consumer product lines. The company positions itself as a technology based company with a dynamic, consumer-oriented compensation plan including latest technology like Blockchain for utmost transparency. Get more information, fact and figures about Enhanzz Global, click here for the Enhanzz Global overview.